The graphic trend and contemporary colours. 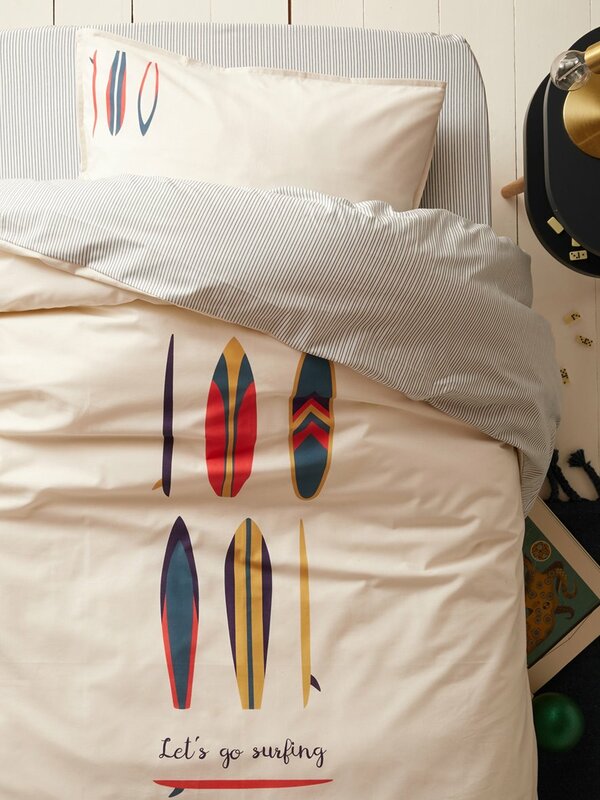 A type of cool attitude shines over this bed set that evokes hot sand. Cyrillus Creation. Blue stripe back. Pillowcase with 20cm flat and 1cm flat frill. Machine washable at 40°C. Made in Portugal. Product shipped by lorry to limit the carbon footprint.